Our restaurant, situated on the banks of the River Dart in Dartmouth, specialises in seafood cooked over an open charcoal fire. We are lucky to have some of the best fish and shellfish in the world landed here right here and in the fish market over the water in Brixham. In addition to our full menu we offer a locals menu, 3 courses for £20 which is served at lunchtimes and until 7pm excluding Saturday night, we are also open for long relaxing Sunday lunches. 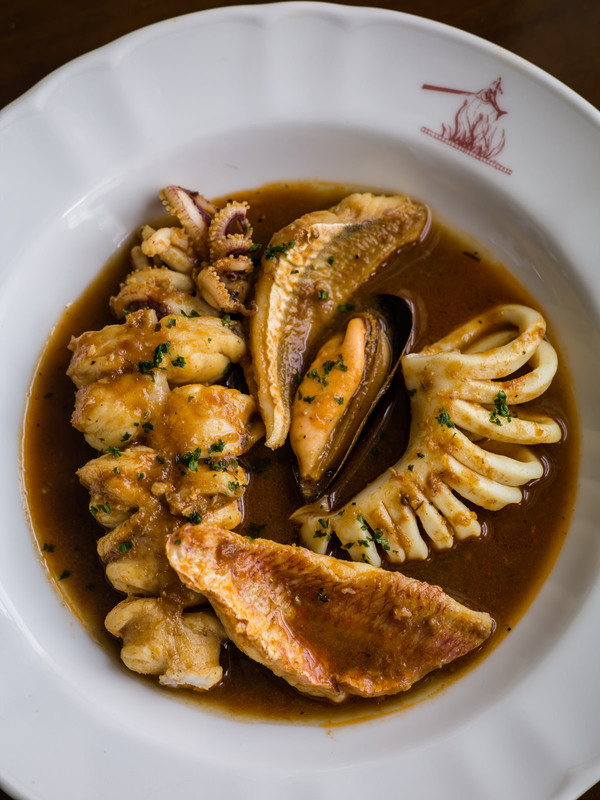 We have an extensive wine list of over 180 bins, all carefully chosen for seafood and we open a selection each day to serve by the glass, so there is always something different to try. 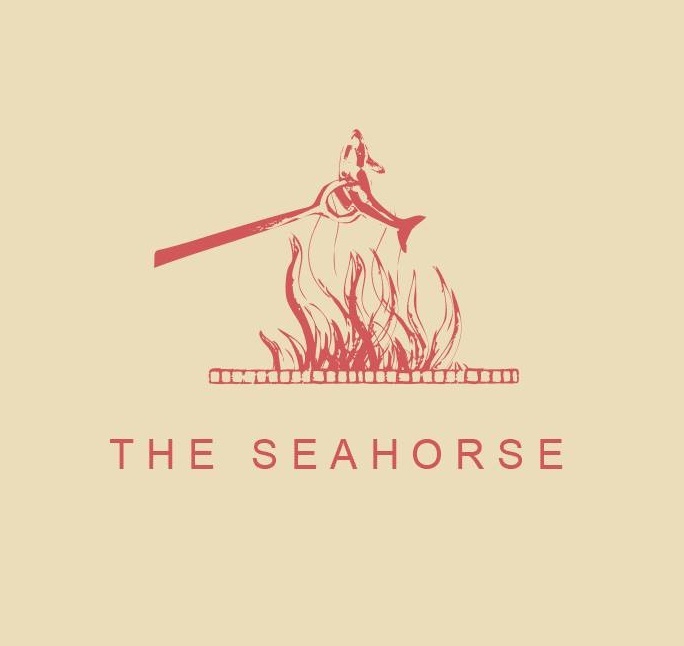 Guests are invitied to take a drink, before or after their meal, in Joe's bar at The Seahorse; it is a delightful cosy place to begin or end a meal with us. For a more private dining experience our beautiful room, "The Cantina", is available for booking for up to 14 guests and you can tailor your menu and booking to create the best event to suit you. 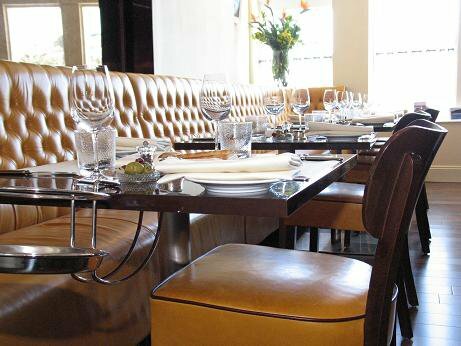 We offer a warm atmoshpere and friendly service and families are most welcome to dine with us. Gorgeous fish and staff amazing. Also excellent providing gluten free food, going extra mile, much appreciated. We had a superb lunch on Easter Sunday. 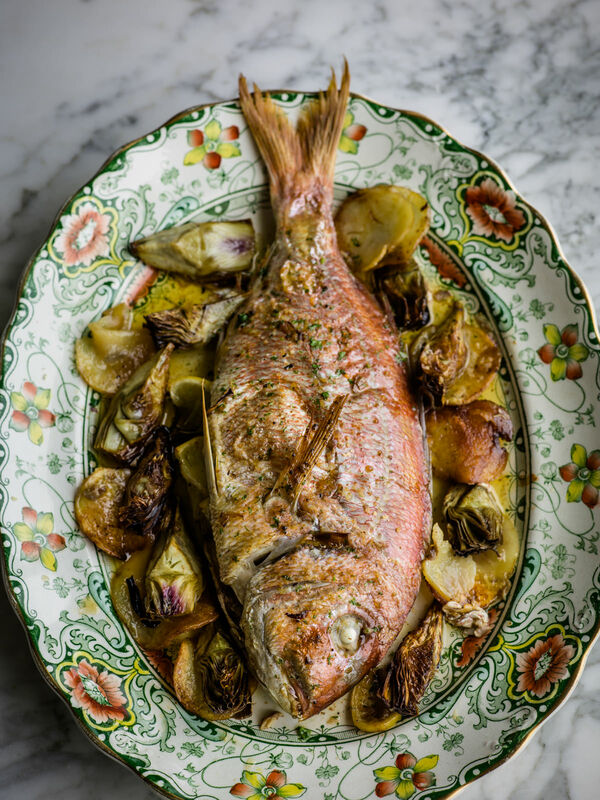 An imaginative menu inspired by an Italian restaurant in Burano near Venice. 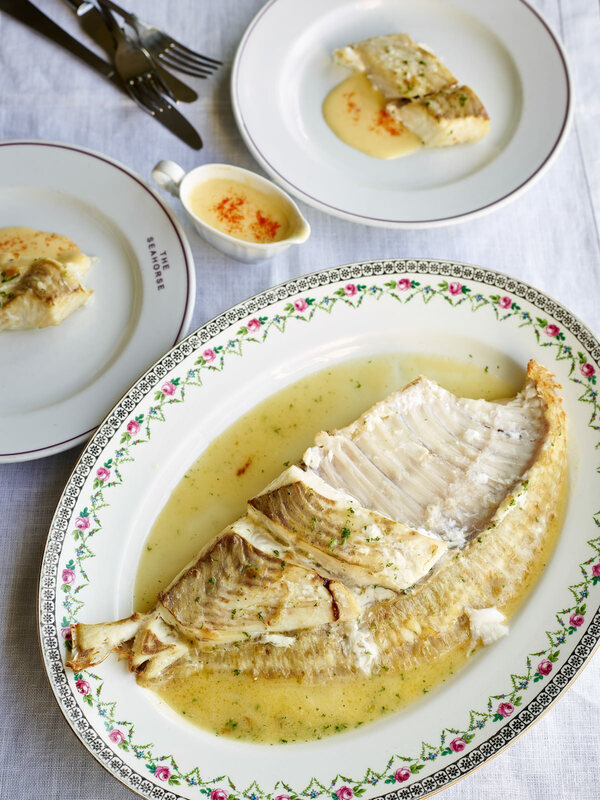 Simple, first class ingredients, perfect John Dory expertly filleted and served at the table. The staff are just delightful - professional but friendly and natural. We love this place! The food as usual excellent. The staff are very friendly and knowledgeable a first rate dining experience. Great food and a perfect evening. I did not get a reply email to confirm the local rate, which I was unsure of due to the holidays. Also I thought the wait between starters and main was a bit too long - almost 25 minutes - which should not have been an issue given the low numbers. Otherwise I was very happy . Great food at a great price. Thanks. Lovely meal from the local menu. Service was excellent as well. Definitely be back. Wonderful lunch with good friends and fabulous food. Staff and service were attentive and polite. Definitely recommend the locals menu. Great value. Great attentive team. Good food well prepared. If you want fresh seafood, this is the place to go, the food is fantastic and service was great. Cant wait to go again. Our favourite Devon restaurant. Never miss a chance to dine when we get the chance to come down from London. Maybe my 10th time. Fish was quite exceptional, and the addition of seahorse chips a great and novel idea. I would like to see another serious pud. Haven’t seen your tiramisu for a while. And how about the inky octopus dish? Wines great and port best have had for ages. Family Armstrong will be back for my birthday! As it was our last day of the holiday we decided to have lunch. It was really fantastic. We had the set menu and couldn’t believe what good value it was. Thoroughly enjoyed it. First visit, heard lots of good things. Met expectations in full, very relaxing dinning room, staff friendly, highly skilled and knowledgeable. Food delicious, particularly enjoyed the risotto. Wines very enjoyable, house rose a perfect aperitif. Value outstanding, we had the "Local's Lunch. We recently bought a house in Kingsbridge and will be back asap. Exquisite dining experience from start to finish. Knowledgable and attentive staff team. The BEST food and wine in Dartmouth by far ! A very good lunch. Great service & friendly staff. Well done Seahorse. A beacon of light in a world of mediocracy. We had a really great time and you looked after us so well; nothing was too much trouble - even the awkward pram! Every one of us (8 adults) loved the food and the wine. My only observed is that you twice recommended wines from your list that were in short supply and think if you had said so we may have started on a different choice although we did really enjoy your recommendations. Mitch the gift of your book to the birthday girl was was very kind and I’m already looking to take some of the recipes back with me! We’ve eaten at the Seahorse about 6 times now. It never disappoints. 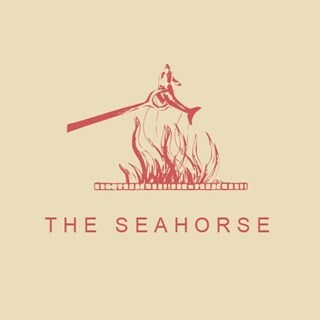 Once we’ve booked a cottage for a holiday we immediately book dinner at the Seahorse. I think it is definitely my favourite restaurant. Superb evening! Great food, the Alvarhino was delicious, highly recommend the red mullet for 2, and the lamb sweetbreads were heavenly. Wonderful, attentive staff, a real pleasure, we will be back. Really enjoyable lunch, great food great service and great value!